Come out and help celebrate our new rescue and sanctuary for cats and kittens. Freewill admittance. 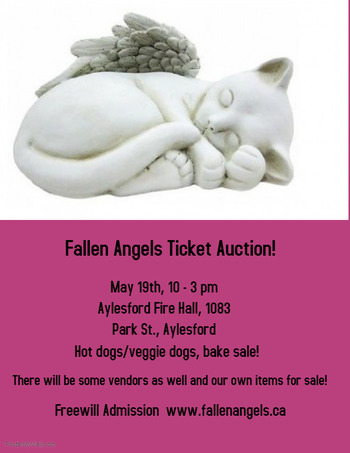 Ticket auction, a few vendors, canteen with hot dogs, veggie dogs, beverages. Bake sale! Essential oil products! Tickets will be drawn at 3:00 pm. Please try to stay to take anything you might have won. But you don't have to. For more information email: farssociety@outlook.com or call 902-321-0159 Hope to see lots of you there!